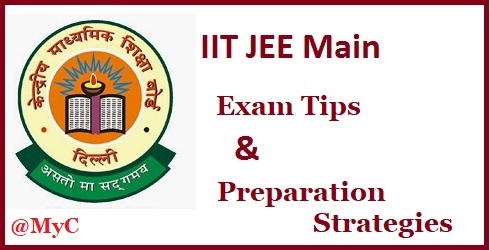 IIT JEE Mains Exam 2019 Preparation strategies are being shared here, Joint Entrance Examination or JEE is one of the toughest examinations conducted for Engineering Entrance. Cracking IIT JEE Mains 2019 is the biggest dreams of many engineering aspirants. What makes it tougher is the 12th Boards examination, which students have to face just before this examination. The below are some of the tips, which you can consider to score better in this examination. As the time difference between these two examinations is very less a student has to prepare for both the examination at the same time. Though, this is one of the toughest examinations, once can easily prepare for the same with just a little bit of proper planning and strategies. Scoring is not that if one takes the thing seriously. The below are some of the fundamental tips to consider. Keep the basics Clear: Mathematics, Physics, and Chemistry are the three main subjects of this examination. So, basics are one of such things which need to be the strongest. This is owing to the fact; if those are clear enough, it can create some issues while solving critical problems. Concentrate on your School: Though JEE is not a school examination, what you study is class 11 is very critical for this examination. This is because, the syllabus for class 11 and 12, if compared to JEE; these are almost same. So, to understand all the basics very carefully one needs to concentrate on their school subjects quite warily. Do not Rush: It is quite often seen that students miss some of the chapters. For them, it is always recommended that you can well miss some of the chapters. Do as many revisions as you can for the chapters which you have read. This makes some of your chapters so strong, that you can actually leave a few. Revision: It is always recommended not to study any new topic at the last moment. Always try to revise the topics you are good with. Formulae, theories, charts are some of the main things which one should concentrate on the last moment, before the examination. The focus of scoring areas: Mark all the areas which are scoring. Focus on all these areas, as this can make you earn some quick scores. As IIT JEE Mains is a competitive examination, time is what matters the most. So targeting the scoring areas is a great idea. So, it can be well said that tips for IIT JEE Mains 2019 Preparations are a tough examination, but with all these tips you can well score great in the same.